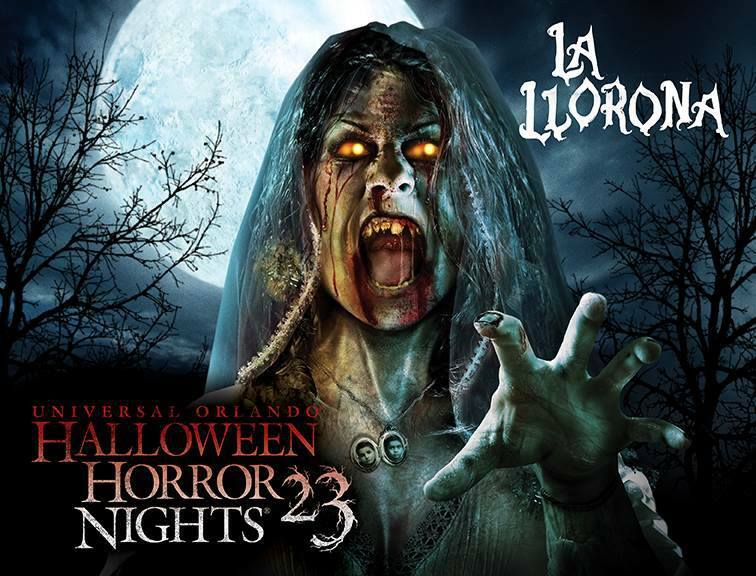 Halloween Horror Nights is easily one of the most popular and largest Haunted Events to take place at a theme park. In the past HHN has been known for being crazy with their theme's, pushing the boundary of what's acceptable and going one step beyond that line. While this season Halloween Horror Nights doesn't exactly have a set theme or icon, they've gone just as crazy as they have in the past. It seems this season has gone with a television/movie theme with most of the haunted houses and scare-zones. 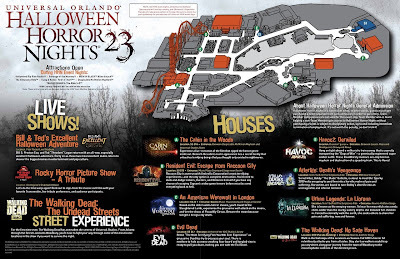 To begin, let's take a look at the map for HHN23. The set up is very similar to years past with a line of haunted houses along the main drag of the park, the rest are located around the lagoon loop. Although this year we see less of the parks 'normal' attractions open then in previous seasons. This season the only attractions open are the roller coaster Rip, Ride and Rockit, Revenge of the Mummy, Men in Black, Simpsons the Ride, Kang and Kodos Twirl and Hurl, Despicable Me and Transformers. Now, Onto the Haunted Houses! The first and probably one of the biggest names is Walking Dead from the television show on AMC. 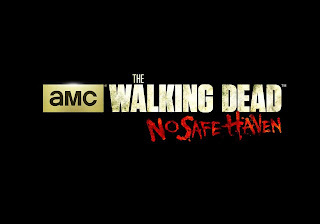 Once again the zombies from Walking Dead are returning to Halloween Horror Nights in their own themed haunted house "No Safe Haven". This one takes places within season three, you travel through the town of Woodbury and even into the abandoned Prison where you could get caught by walkers at any moment! This haunted houses is located in the Parade Building, Next to the Kid Zone stage (B79). Resident Evil is FINALLY getting a haunted house, we've only been calling for this type of thing for ages! 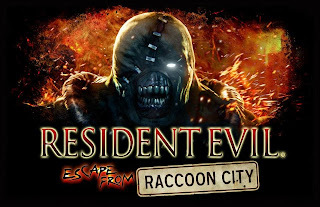 Resident Evil: Raccoon City is a new haunt this season and it taken from games 2 and 3, not the movies. Raccoon City is overrun with the lovely creations of the Umbrella Corporation. 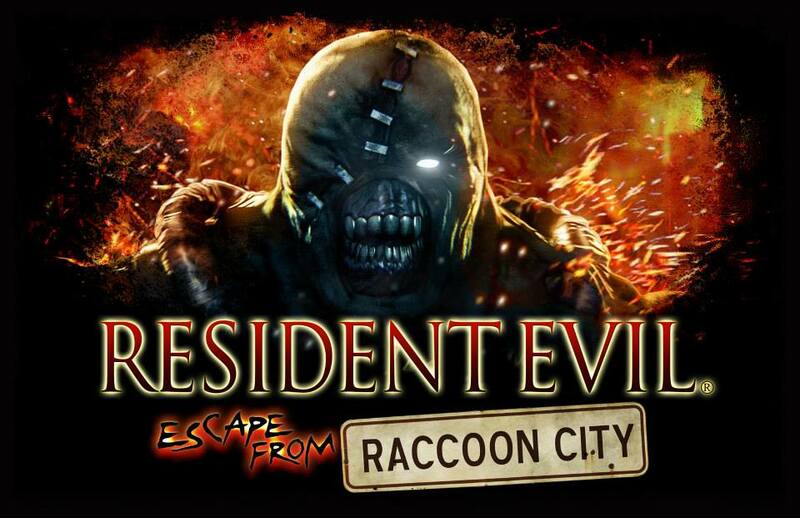 Full of creatures like Lickers, Hunters and even Nemesis himself you have to escape before they decide the blow the hole city straight back to hell where it belongs! This haunt is located on Sound Stage 21B, The entrance is in the Music Plaza Courtyard. 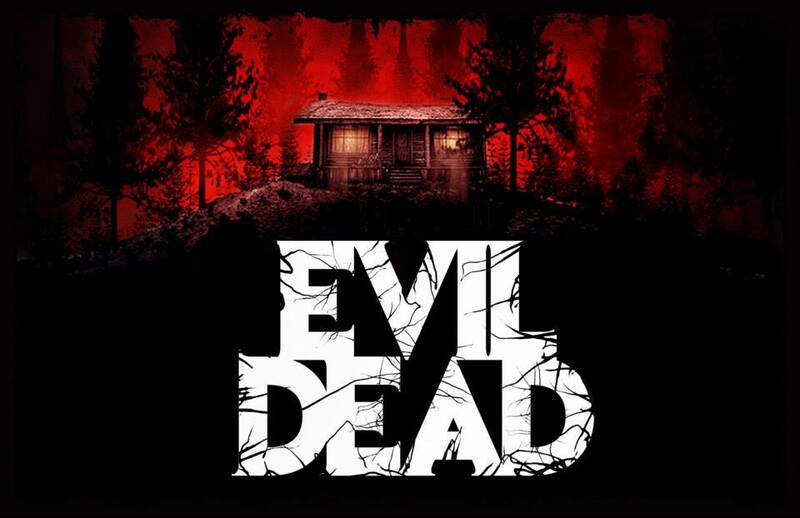 Another haunt that should have happened years and years ago, Evil Dead. Although I admit to not being overly thrilled because this haunt isn't based of the classic cheesy movie we all know and love, it's based of the remake (which I refuse to watch because I hear it's crap compared to the original). The Deadities are on the loose and out to make you one of them while stealing your soul away to hell. I hear tell there may even be angry tree involved! This haunt is located on Sound Stage 24, The entrance is in front of the NYC Public Library building. 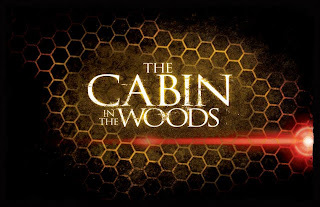 Cabin in the Woods is probably the haunted house I'm most excited to see in all of this seasons Halloween Horror Nights. 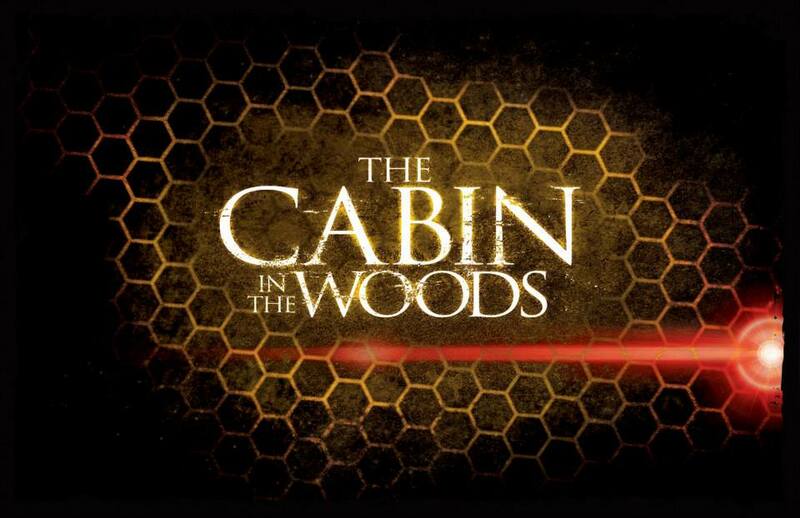 A live recreation of the evil cabin and all the wonderful, evil monsters that live below it. You'll get to travel through the facility and be terrorized by many of the monsters from the film including both the Unicorn and the Merman! Although I hope to see many more of the monsters involved, maybe even a Reaver or three! This haunt is located on Sound Stage 21A, The entrance is between Despicable Me and the Universal Studios Store. Rumor has it that Universal has wanted "American Werewolf in London" for ages but has never been able to meet that goal. This season, they have and from the few scant preview pictures they released.. it looks amazing! Based on the horror classic by Landis, you get to travel to the iconic 'Slaughtered Lamb' tavern, experience a wolf attack while prowling the moors and even see the chaos of the Piccadilly Circus with your own eyes. This haunt is located on Sound Stage 22, The entrance is located at Twister. La Llorona is an urban legend from Mexico, their version of the 'drowning mother' myth. Also called the 'weeping woman' she prowls around the water, the very water she drowned her own children in. She seeks to make you suffer with her until she can escape to heaven. This haunt is a moved haunt, it came from Universal Studios Hollywood and was a huge fan favorite at their Halloween Horror Nights event. This haunt is located in Tent 1 behind the Simpsons Ride, the entrance is next to the Kids Zone stage. 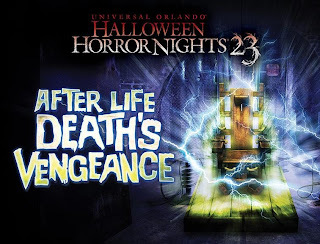 After Life is a non-movie themed haunt, it's a squeal to a previous maze from a past Horror Nights event. In this haunt you'll find that Bobby 'the blade' Galletta is about to get fried in the chair for his serial killer ways. This is going to send him right where he doesn't want to be, a place where he will be soon tormented and tortured by his past victims. This haunt is located in Tent 2 behind the Simpsons Ride, the entrance is near the Men in Black Gear store. 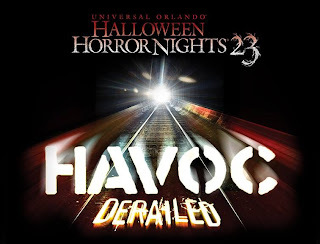 This haunt is yet another sequel, this one's an original and it predecessor is from Horror Nights 20. In Havoc 2: Derailed your on a military train that is out to deliver 'the dogs of war' which are genetically engineered super soldiers. Something bad will obviously happen and havoc will ensue! This haunt is located in Disaster! and it's entrance is also the Disaster! queue line. This season all of the ScareZones, the themed areas around the park normally on the pathways are all themed to the Walking Dead. 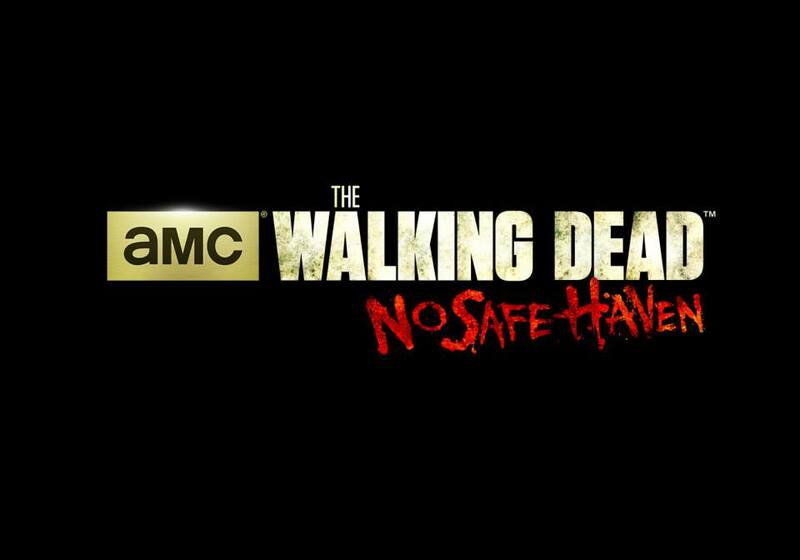 You'll travel through the various locations seen on the television show such as 'The Fall of Atlanta', 'The Farm', 'Woodlands', 'Survivor's Camp' and 'The Clear'. Now while I enjoy walking dead, I'm not to pleased with them taking over ALL of the ScareZones. Part of the fun of Halloween Horror Nights has always been when they theme out the ScareZones to fit with the different houses they're offering that season. So not only did you get a themed haunted house, you also got to walk through at area with a very similar feel. 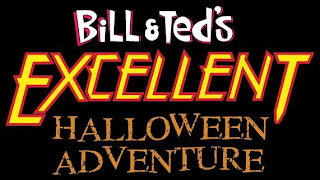 I'm reserving judgement until we visit but I'm not sure I'm going to enjoy the ScareZones as much as previous seasons. 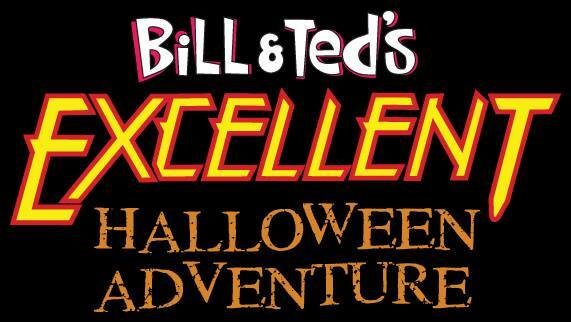 Back again, the always great 'Bill and Teds EXCELLENT Halloween Adventure'. This show changes each season, targeting whatever is popular or can be made hysterically funny that season. I've been going to HHN for years now and this show is never a disappointment, some are better then others but it's never dull. I can't wait to see what kind of cracks their going to make this season! It's time for the TIME WARP! 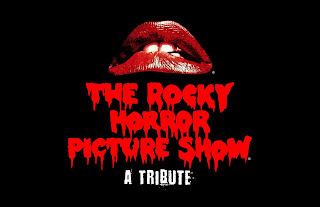 Rockey Horror Picture Show has returned to Halloween Horror Nights as a Tribute show. 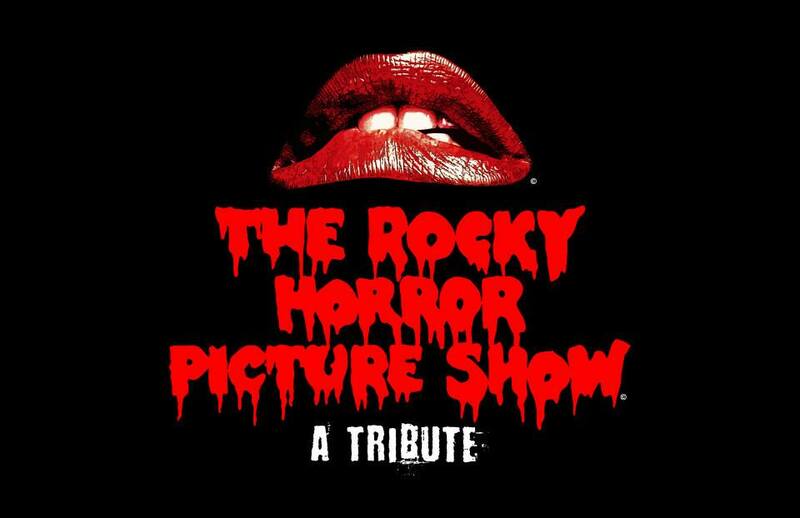 Get up and dance along, sing along and even participate in the show while watching your favorite parts of this cult classic movie! 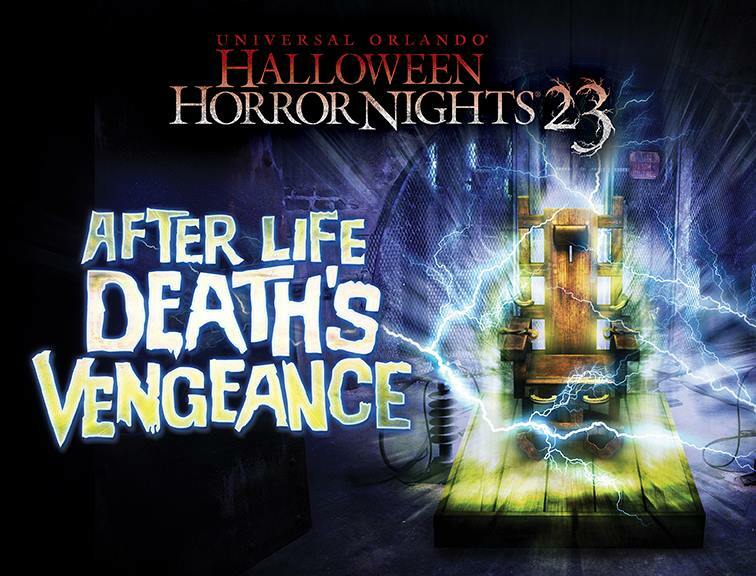 Overall, Halloween Horror Nights looks pretty great for it's 23rd season. We'll be visiting here in the next week and will be posting a review of all the goodies we get to see and experience, so keep watching the blog!